- The Joyful Mysteries (Annunciation, Visitation, Nativity, Presentation of Jesus at the Temple, Finding of Jesus in the Temple). - The Luminous Mysteries (Baptism of Jesus, Wedding at Cana, Jesus' Proclamation of the Kingdom of God, Transfiguration, Institution of the Eucharist). - The Sorrowful Mysteries (Agony in the Garden, Scourging at the Pillar, Crowning with Thorns, Carrying of the Cross, Crucifixion and Death of our Lord). - The Glorious Mysteries (Resurrection, Ascension, Descent of the Holy Spirit, Assumption of Mary, Coronation of the Virgin). In this article, because the Church (and all of Mankind) is apparently headed for disaster, I propose a new series of mysteries, to help us prepare for this disaster. A bit facetiously, I call them the "Prepareful" mysteries. 2) Can we add other mysteries to the Rosary? 11. [...] Mary constantly sets before the faithful the "mysteries" of her Son, with the desire that the contemplation of those mysteries will release all their saving power. In the recitation of the Rosary, the Christian community enters into contact with the memories and the contemplative gaze of Mary. Since there are many more mysteries than 15 (or 20) in the Life of Christ, and since this is private prayer (not like Mass where we must respect the will of the Church for the liturgy, i.e. Say the black and do the red), and since Mankind (and even the current Pope) is abandoning the Social Kingship of Christ (which inevitably leads to disaster, since "without a Creator the creature vanishes" [CCC, #308]), it seems logical to me to add the "Prepareful Mysteries" to the Rosary. 3.1) First Decade: Horrible disasters are coming, prepare to flee! [...] flee to the mountains, a person on the housetop must not go down to get things out of his house, a person in the field must not return to get his cloak. [...] at that time there will be great tribulation, such as has not been since the beginning of the world until now, nor ever will be. Remember this is Almighty God ordering to flee to the mountains. Why give such a commandment, if fleeing was useless? Also, some people present Christianity as a kind of "opium of the people", a religion of "happy-talk" and "let's all hold hands and sing Kumbaya". But that is not what the Word of God says. The Word of God warns us of horrible disasters, if we abandon Him. And have we ever abandoned Him today! As John Lamont says about the doctrine of Christ the King: "If the rejection of the true religion by state and society is now so deep that this disaster cannot be avoided, the doctrine still needs to be urgently announced in order to enable people to prepare for disaster." "Flee for your life! Don't look back or stop anywhere on the Plain. Get off to the hills at once, or you will be swept away." 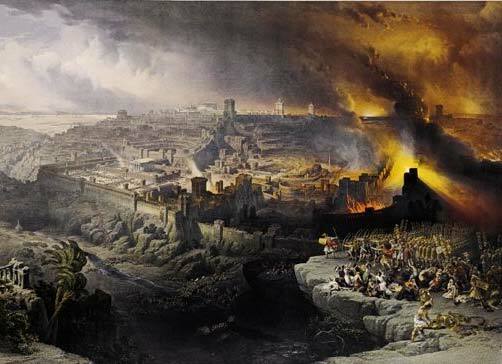 Before Christ's second coming the Church must pass through a final trial that will shake the faith of many believers. The Church will enter the glory of the kingdom only through this final Passover, when She will follow her Lord in His death and Resurrection. 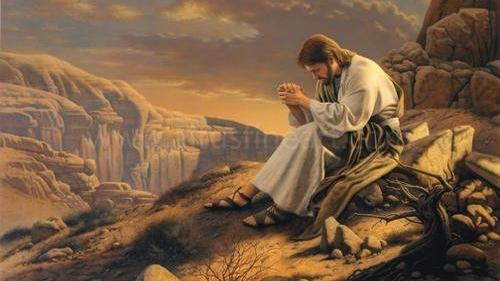 First, Jesus was physically able to pray all night, in other words he had the stamina, the physical toughness, to work all day and pray all night. Jesus certainly did not have a beer belly and smoker's yellow teeth. He was certainly fit as a fiddle. Second, Jesus could keep mentally active for a long period of time, without needing a big library or YouTube to compensate for an empty brain. His mind was filled with good things already. Theology teaches us that He has all the human virtues, including intellectual virtues (which includes all skills, which includes survival skills!). 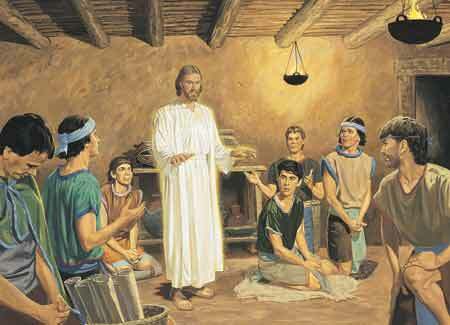 This physical and mental preparedness allowed Jesus to pray all night, but it also reminds us that your most important material weapon is your body, and survival skills take zero bulk and have zero mass, so you always have them with you (even if you walk up to a mountaintop with just the clothes on your back, and find out you have to spend the whole night there). In other words, one of the most important things to prepare is yourself: a healthy mind in a healthy body (i.e. "Mens sana in corpore sano"). 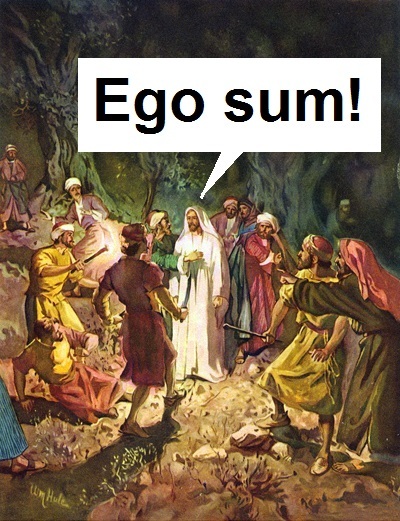 Finally, Jesus used this healthy mind in a healthy body to maintain "situational awareness". If bad things are coming our way, we need to stay awake (which includes avoiding the "mental sleep" of entertainment). Do you not know that your bodies are temples of the Holy Spirit? But now let the one who has a moneybag take it, and likewise a knapsack. And let the one who has no sword sell his cloak and buy one. 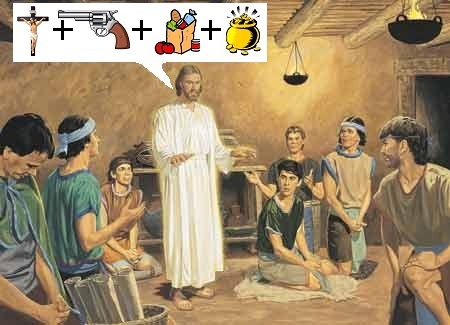 Remember, Jesus is God, so this is God telling us to grab our moneybag (our gold), our knapsack (which certainly included some groceries) and to get a gun (in those days, a sword). I personally list "gold" last in the sequence "God, Guns, Groceries, Gold", because it requires a functioning societal exchange system to be of any use. All the other ones are still useful even if society has fallen apart (in other words, you cannot eat gold for breakfast). Most authors also add "Ground", meaning land you own on which you can grow food. Yes, ideally, I would love to. Although it can be hard to reconcile with mobility. 3.4) Fourth Decade: When the SHTF, Bug Out! The five "Prepareful" Mysteries are divided in two: the first three are about preparation strictly speaking, but the last two are about taking action, after a bad event happens (for which preparations were necessary). "Taking action" normally means either flight or fight. The Fourth Mystery is about "flight", also known as the Cardinal Rule of Disaster Preparedness. 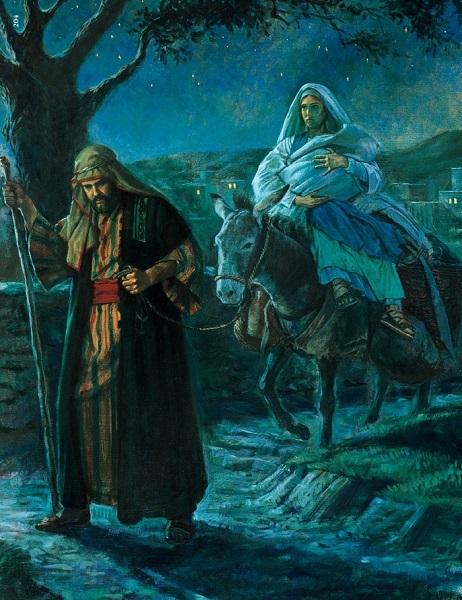 In the middle of the night, saint Joseph grabs his family and his bug out bag and leaves for a foreign country, in a hurry, using back roads. And remember all children under two years of age and living in that general area will be massacred in a few hours. How much more SHTF can things get for a young and poor family? But saint Joseph was ready, and took massive action to save his family, despite there being very few signs that a disaster was incoming. 3.5) Fifth Decade: You have to be willing to die to defend those you love. No one has greater love than this, to lay down one's life for one's friends. Life here below is not the most important thing. We have to make reasonable efforts to protect it, but we also have to be ready to sacrifice our earthly life, if it's the only way of avoiding sin (and sin is the Ultimate Bad Thing, not some earthly disaster). One of the worse sins imaginable is abandoning your loved ones when they are threatened. When a father sees his wife and children being attacked, or when a citizen sees his Country being invaded, or when a Christian must choose between apostasy or being tortured and killed, it's not time to run away, it's time to fight. 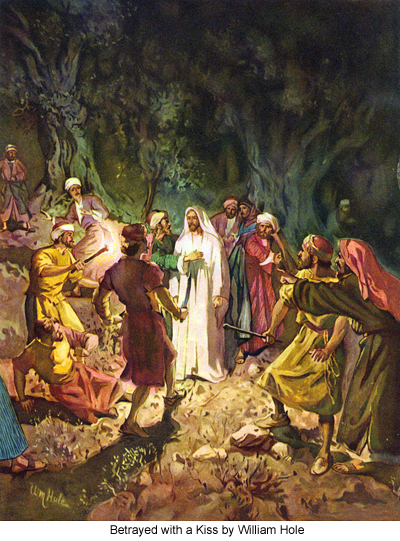 Jesus could have escaped from the armed thugs who came to capture Him in the Garden of Gethsemani, but He just walked up to them and said bravely: "I am He" [Jn 18:5], probably sparing the lives of his disciples by doing so. Also, attacking requires courage, but enduring is the supreme proof of courage [IIa-IIae, q. 123, a. 6]. Christian Fundamentalists preparing for the Apocalypse. Another consequence of the life of the body being infinitely less important than the life of the soul, is preparing for the Apocalypse. If you want to see Catholic survivalists preparing for the End of the World, go into a church to watch the lineup in front of the Confessional: there! 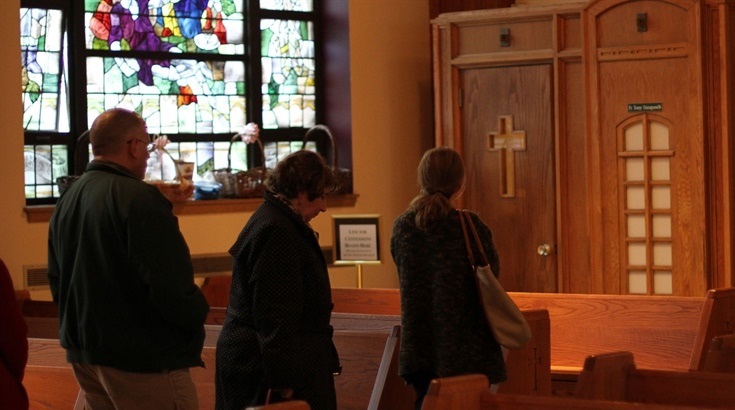 The Sacrament of Confession (which includes sincere repentance for all your faults and fixing all the damage you've done) is the only thing you can do to prepare for the End of the World (and when you die, it's "the End of the World" for you...).